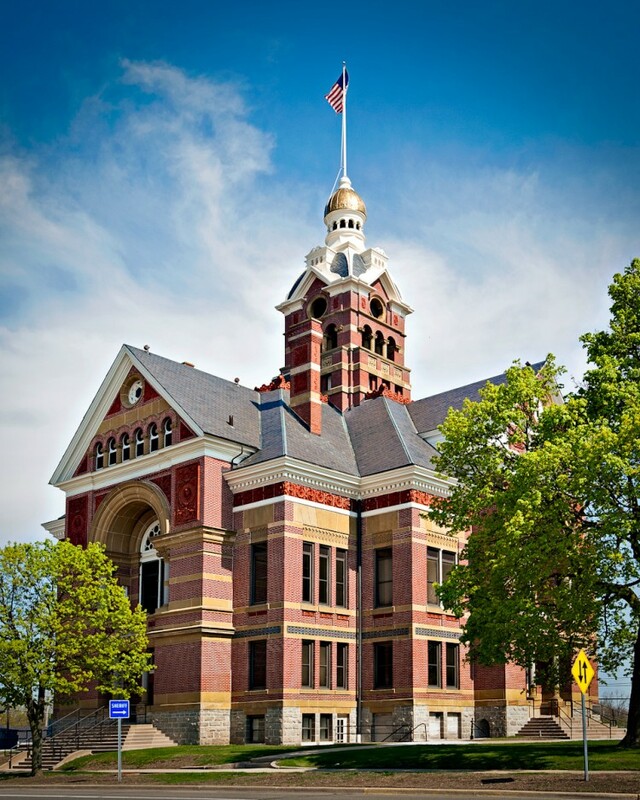 A couple of years ago I visited Adrian, Michigan and ran across this wonderful old courthouse building. I didn’t have a camera with me at the time and I’ve always wanted to come back and take some pictures. I’m only about an hour’s drive away from Adrian, but I never found the time to get back until this past weekend. The weather was sunny and pleasant and I thought the mid-morning light might look good on the building, so I packed up my camera and drove to Adrian. It was somewhat of a challenge to find a good angle on the building. The north side was interesting but had too many power/telephone lines in the way. Shooting from the front was a bit boring. This angle is from the south east side and presents the cleanest look although the tree on the right blocks some of the building. Another item I had to deal with was a large radio tower which is across the street from the courthouse. From the angle I shot this picture at, the tower would have appeared just to the right of the tallest part of the building. I rearranged my composition to place the tower completely behind the building. Now the only things in the image that I don’t care for are the two signs. I made an attempt to clone out the signs, but gave up. 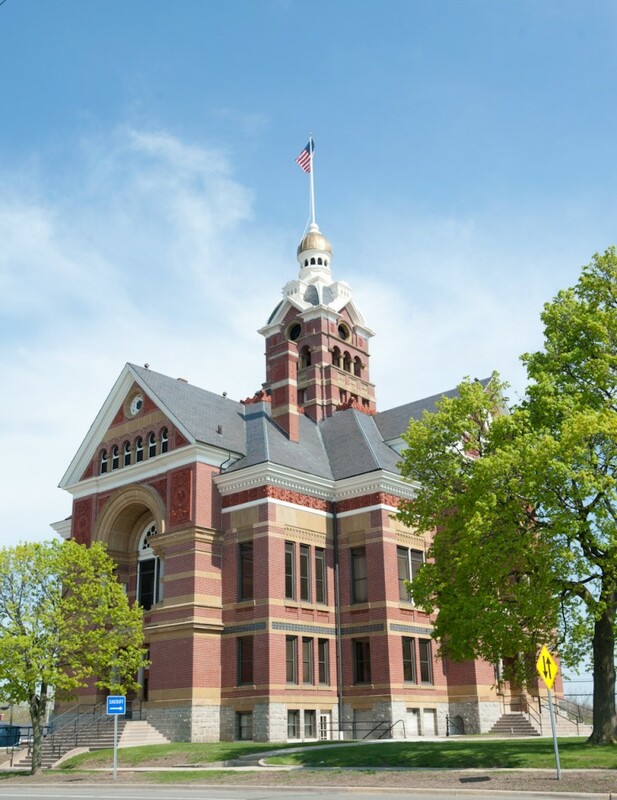 The building itself was built in 1885 and replaced a courthouse which had burned down in 1852. The architecture is Romanesque and features some wonderful terra-cotta trim. Processing for the image was pretty simple. I performed a little perspective correction and increased the contrast just a bit as the raw image was a little too flat. Thats about it. Awesome building and great image of it! Nice detail and clarity here. You did a great job with this one.